Christmas can be a difficult time for people at risk of or experiencing homelessness but there are number of services people can access over the holiday period. 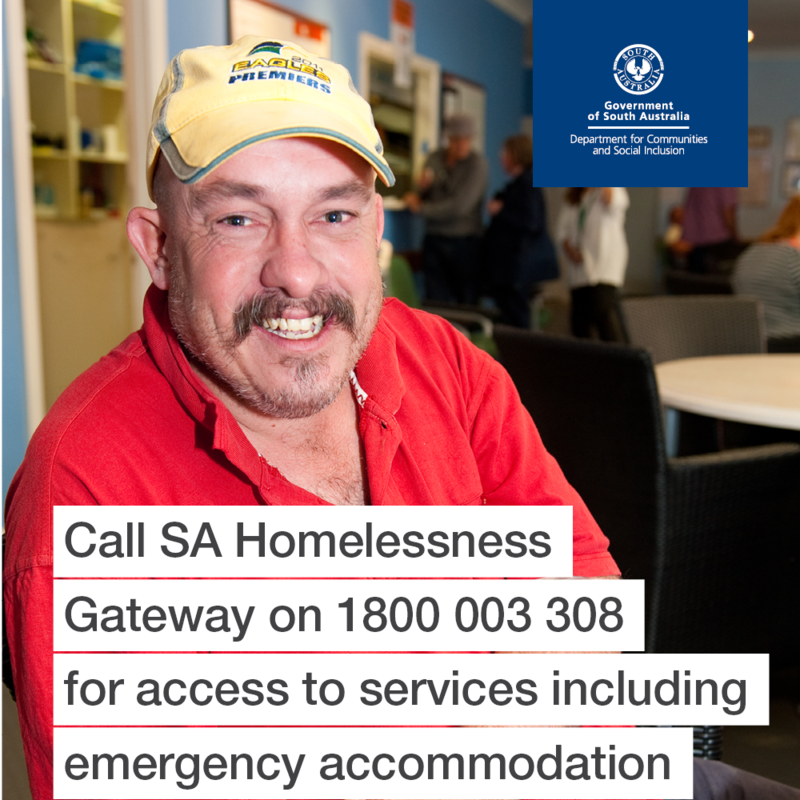 The 24-hour South Australian Homelessness Gateway service can be accessed anytime over the break by calling 1800 003 308. The gateway connects people who are homeless or at risk of homelessness with emergency accommodation and other support services, at any time. Homelessness services outside the inner-city will be open as normal, Monday to Friday, 9am-5pm, closed on public holidays and weekends. The Domestic Violence Crisis Line 1800 800 098 operates 24 hours a day, 7 days a week and provides referrals to safe accommodation and other support services.